The Disney Fairies franchise was born 8 years ago when Tinker Bell was brought modernized from her origins in Peter Pan in the movie Tinker Bell. The movies tell the adventures of her and her friends, each one of them a fairy with a special talent just like Tinker Bell’s ability to Tinker. As the popularity of the series has been growing the past few years, it has attracted better and stronger talent to work on them. And that growth and maturity of the series has recently made a tremendous showing in the new Tinker Bell and the Legend of the NeverBeast. As has been a trend in the last few of the Disney Fairies movies, Legend of the NeverBeast centers around one of Tinker Bell’s friends rather than herself. In this case its the Animal Talent Fairy Fawn. Starting with this movie she is voiced by Ginnifer Goodwin who Disney fans may recognize as Mary Margaret / Snow White on ABC’s Once Upon a Time. While the story focuses primarily on Fawn with Tinker Bell and her other friends playing a secondary role, it also continues the trend of introducing new fairies by bringing aboard a new Scout Talent fairy named Nyx. To keep the story quick and brief, and not too spoilerish, this story is, as you may have guessed, about the NeverBeast, or as he comes to be named in the movie Gruff. A green comet streaks through the sky one night and awakens Gruff. Eventually, Fawn discovers him and as an Animal Talent fairy she becomes instantly enamoured with him and tries desperately to become his friend. Meanwhile a green glow an clouds starts to surround Neverland. During this, Nyx is trying to discover Gruff with the help of other Scout Talent fairies in order to protect Pixie Hollow as she feels that Gruff is trying to destroy Neverland. One thing leads to another and Gruff eventually saves everything and everyone, earning the gratitude of Nyx and all the other fairies. The movie is centered around some very strong themes for what is essentially a children’s movie direct to video release. Curiosity, exploration, love, pain, betrayal, growth, and loss. As I said above the series has truly begun to transcend it’s “child directed” origins and become something much more. Pet lovers young and old beware, you will be in tears through much of the last part of this movie. It’s that strong and powerful a moment, captured magnificently. Strong writing, strong talent, and an extremely solid and focused story are what make this movie fantastic. That’s what makes this the best of the Disney Fairies movies yet, and that’s not just because it’s the newest. It reminds us that a good children’s movie doesn’t just have to be for children. Parents will enjoy watching this movie with their children, and should note that their kids may have a few questions about the ending. 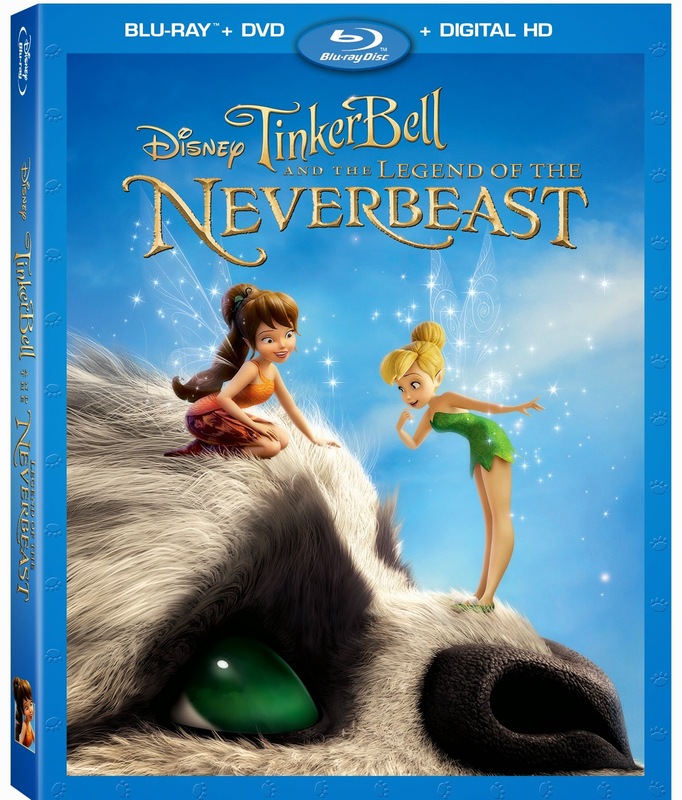 I’m very glad I spent the time to both watch and review Tinker Bell and the Legend of the NeverBeast.